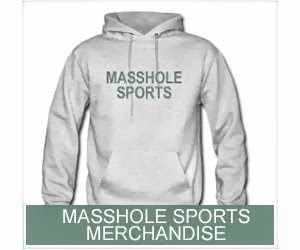 Masshole Sports: Bill Belichick Was Perfect In His Aaron Hernandez Press Conference Today. Anyone Not Satisfied With What He Said Has Serious Mental Issues. 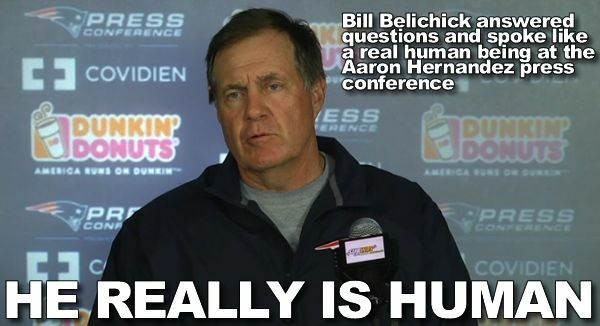 Bill Belichick Was Perfect In His Aaron Hernandez Press Conference Today. Anyone Not Satisfied With What He Said Has Serious Mental Issues. Bill Belichick friggin nailed that press conference today. He took responsibility for drafting Aaron Hernandez, he seemed humbled and he seemed remorseful to the family of Odin Lloyd. He answered every question (that he legally could) and he wasnt the typical stubborn prick that he can sometimes be during press conferences. Anyone who isnt satisfied with that press conference has serious mental issues.